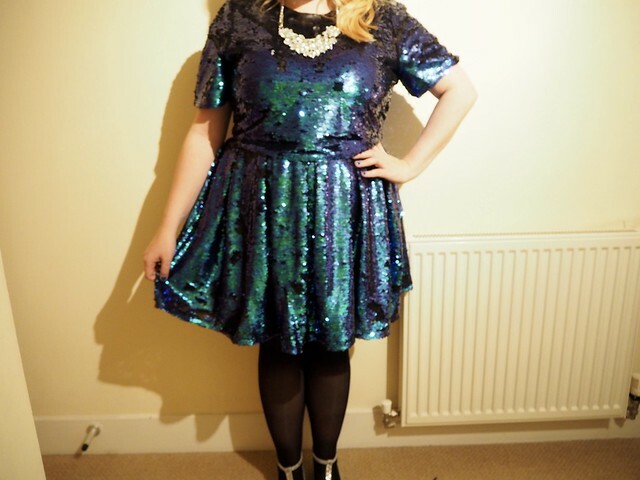 Ahhhh, the Christmas party dress that dreams are made of. 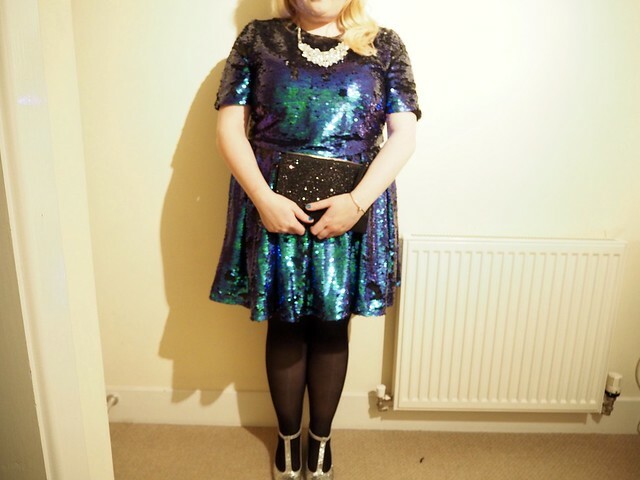 I felt like a festive mermaid! 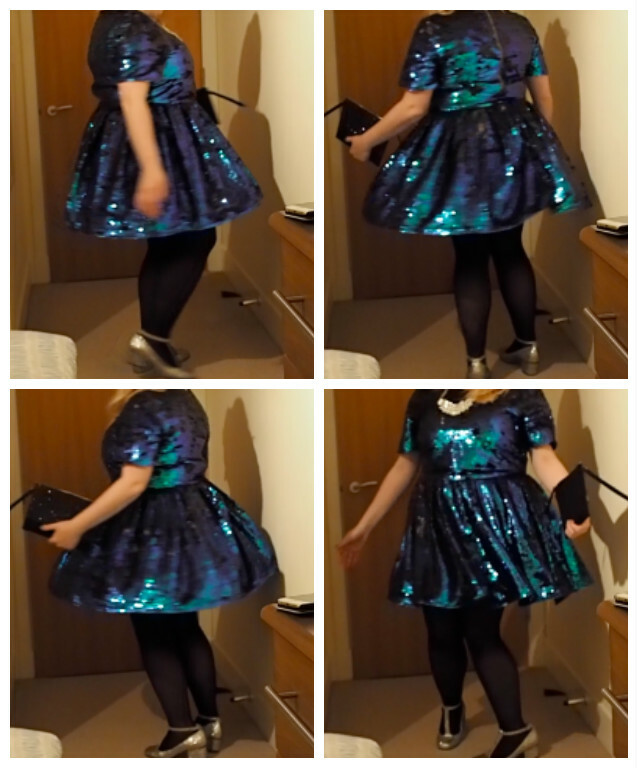 A bit thank you to Louise (aka Sprinkle of Glitter) for bringing this gorgeous dress to my attention. I saw her post an OOTD on Instagram wearing it and I made it my mission to track it down. Luckily for me I found it on the first site I checked (ASOS, of course) and although it was out of stock in my size I bookmarked the page and checked it near enough every day for about a month until it came back in. 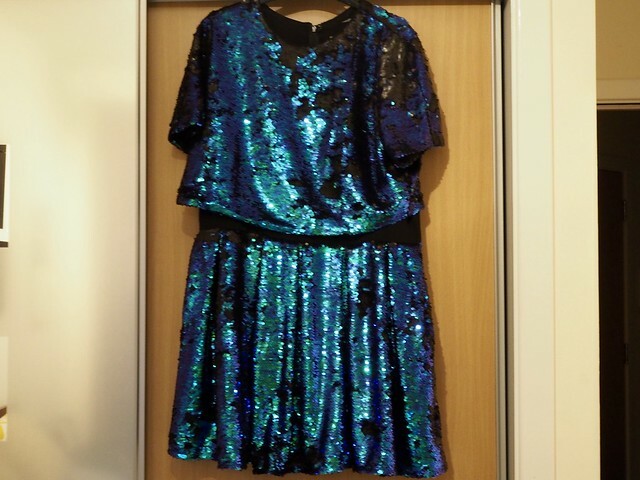 It's actually in 2 parts - the skirt is attached to a black vest top, and the top half is a crop top. 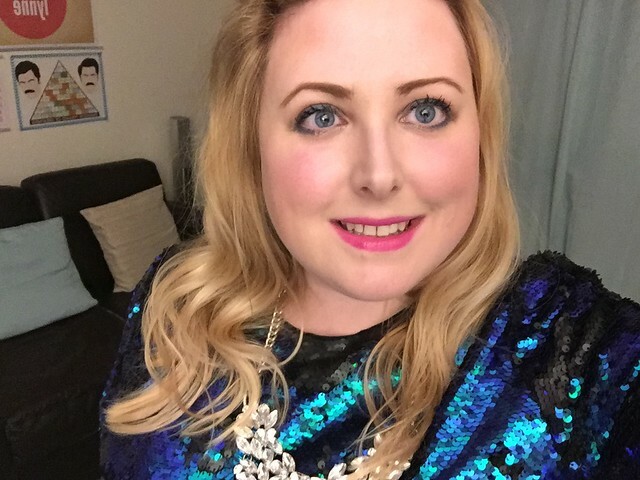 Although it's all over sequins it wasn't scratchy on my arms so was really comfy to wear. 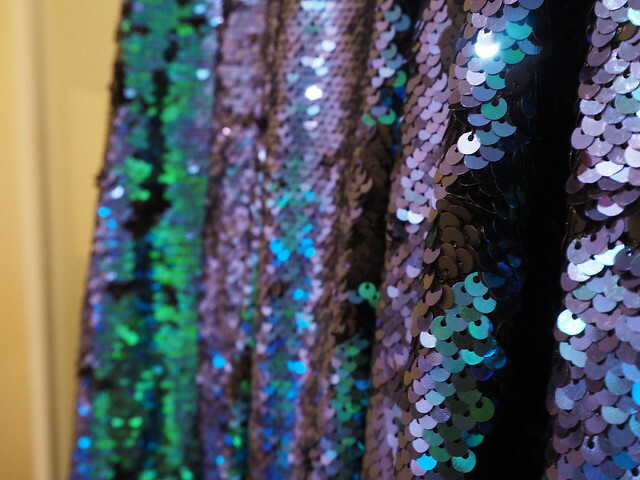 The kid in me also loved the fact that you could rub the sequins up and down and the dress would change from blue/green to black. A great party trick, haha! 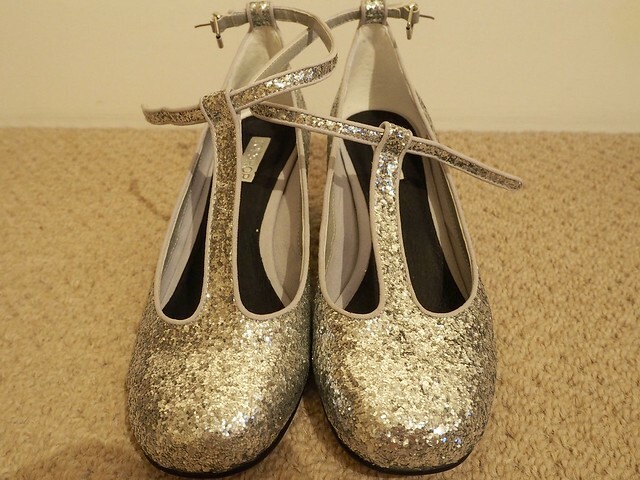 I paired the dress with these beautifully sparkly Topshop Mary-Janes which I'd bought in the sale aaaaages ago and never had the right opportunity to wear them until now. 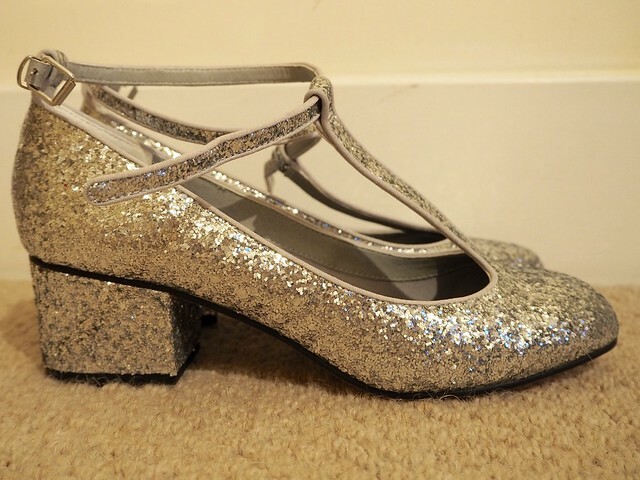 Although they had a small heel I still ended up with really sore feet at the end of the night. Such a wimp.